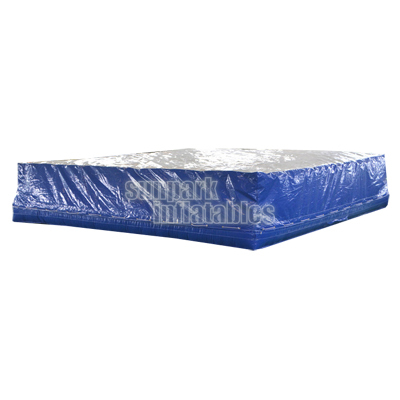 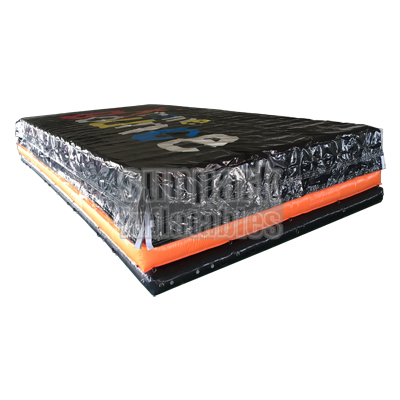 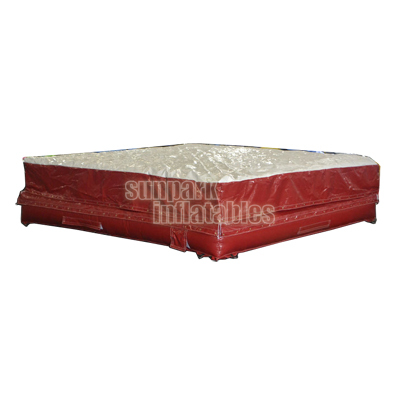 Our Landing Airbag with Ramp is made of highly advanced fabrics to provide you with unrivaled durability, strength, reliability and good looks. 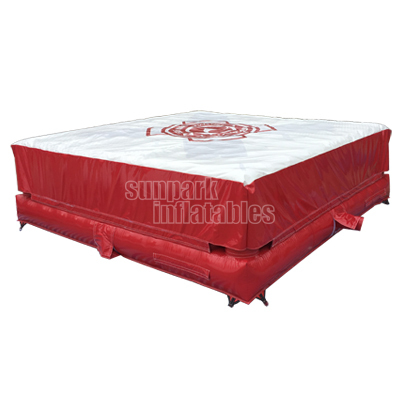 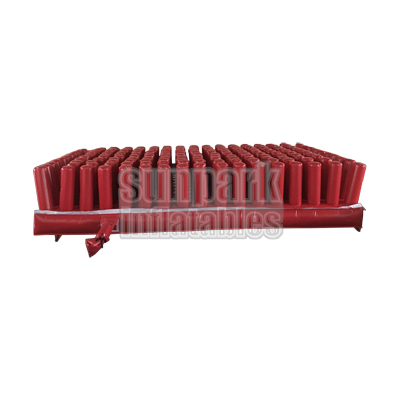 The inflatable jumping landing air bag has a two zone impact absorbing system, each with its own internal blower system. 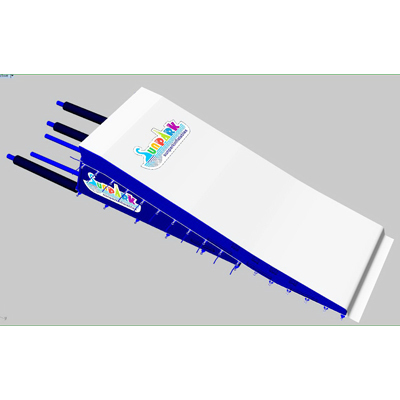 Both zones have several air valves which allow you to adjust the zones independently and precisely. 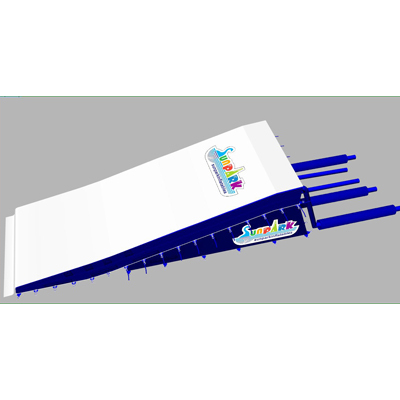 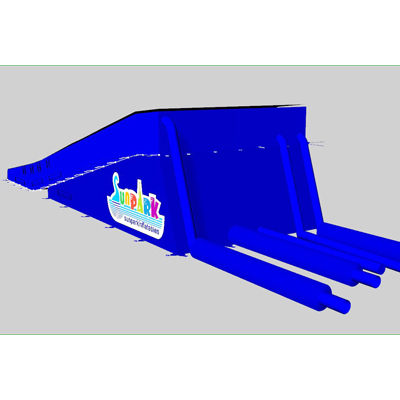 Perfect for Terrain Park/Snow Park Safety, Big Air Freeski and Freestyle Snowboard Training, Freestyle Skiing & Snowboard Training, Alternative to Foam Pit, Mountain Bike/BMX Park Airbag Training Platform, FMX Training Airbag, Snowtubing, Tubby Jump & Toboggan, Ski Bobs and Ringos, Freefall Slide etc. 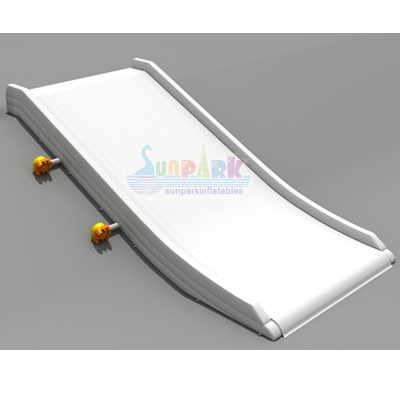 The landing airbag and ramp are separated, it’s OK to use landing airbag on the hill only. 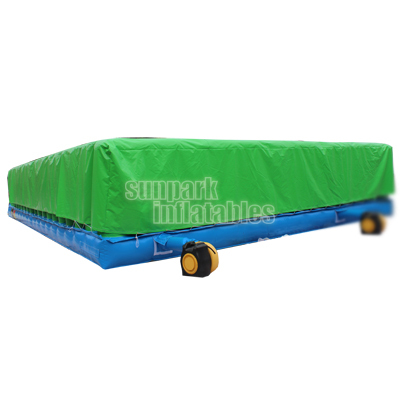 It’s better to make it as two parts, when landing airbag is broken, the ramp is still in good condition.